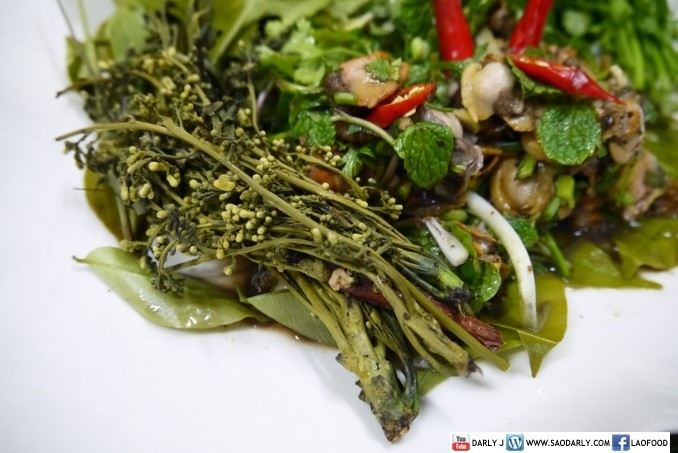 Spicy Cockle Salad (Larb Hoy Khaeng or Koy Hoy Khaeng) for dinner in Vientiane, Laos. 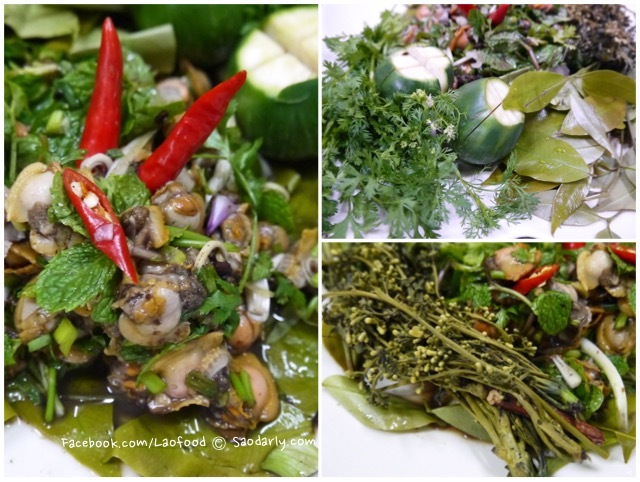 It’s made the same way as making Larb Sien (Minced Beef Salad) with all the same herbs and seasoning. 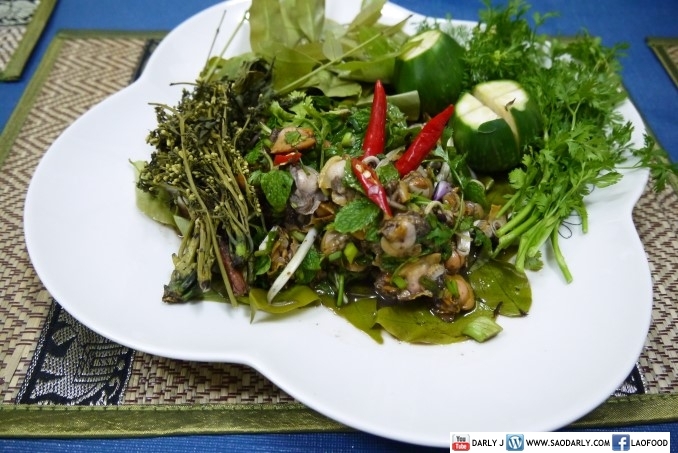 The only difference is adding mildly cooked Hoy Khaeng (cockles) as the main ingredient. I asked my relatives if they have ever eaten this dish before and they told me they have never heard of it. I told them how I like to make Larb out of hoy khaeng whenever I get some fresh ones from the fish store and they should give it a try. 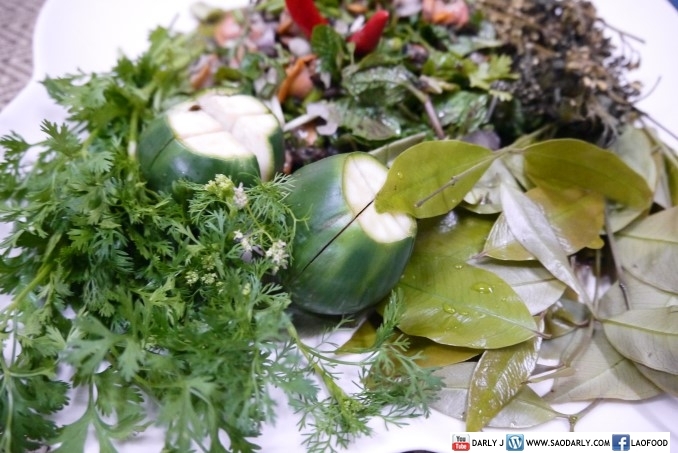 They said that it was an interesting dish and how delicious it is with vegetables like Phak Samake and Phak Kadow.